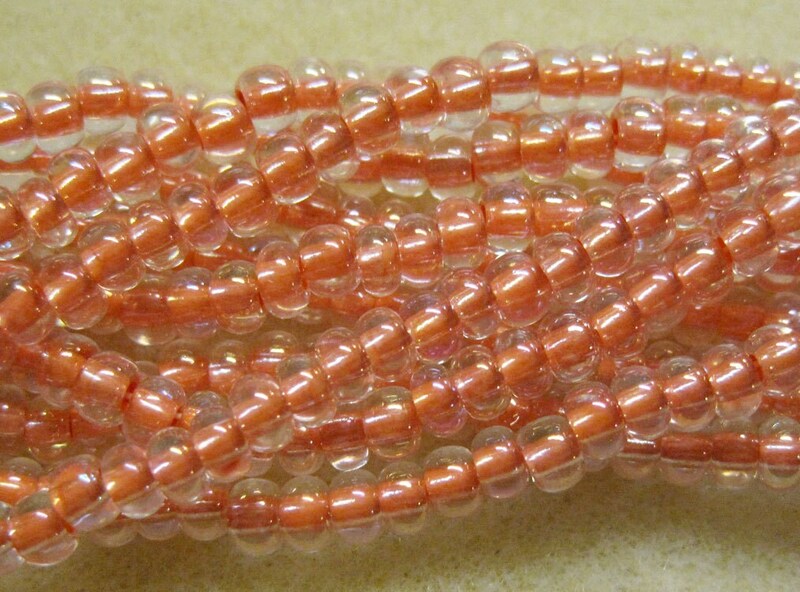 Soft peach ceylon size 6/0 Czech glass seed beads. Very pretty color - these are crystal with peach lining. Size 6/0 beads measure 4mm (also referred to as E-beads). Nearly 12 grams of beads on a 19 inch strand, about 9 beads per inch....that's around 170-180 beads!. Plenty of beads for your beading, knitting, crochet, fiber arts projects! Nice quality beads and very fast shipping! Thank you! Awesome transaction. Absolutely beautiful beads! !